Being a trainer is a nice job. But one shouldn’t use an instant messenger (Skype, Lync, Google Hangout, Jabber, etc.). I always forget to switch it off or change my presence to ‘off-work’ (sometimes does’t help it either). For example it is 9 pm, I’m tired after two weeks of training at a hotel room and watching some movie on my laptop. Then suddenly a window with my IM jumps out and one of my friends (sitting in a different timezone) is asking for some technical advice. He/She sees I’m online and active so it’s not twice polite to ignore the request. Sure, no need to be a trainer, I guess you know it as well. Geolocation, depicts the user location. We shouldn’t limit ourselves only to them. Stop for a while to think about Real Time Communication as about something dedicated to human beings only. For the Machine to Machine communication (M2M/M2X/IoT) it is the presence important maybe even more. UEs and Application Servers rely on the presence information very much. It can be important for both signaling and data. Based on the presence we can choose which device to use, which access method is the best, what timeouts are optimal, which codecs are applicable etc. Anyway before we’ll dive in the RCS concept of the social presence we should recap the standard mechanisms for SIP defined in the RFC 3903, RFC 2778 and RFC 3856 and the Presence Service for IMS defined in 3GPP 24.141. The content is defined as Presence Information Data Format (PIDF) or Rich Presence Information Data Format (RPID). It is simple and works also for application servers. Just don’t forget that one user can have multiple devices and each can publish different data. Because of that the Event State is associated with an Event Package and Address of Record (AoR). In our example a gas pump doesn’t need to know what all the entities are interested and authorized to see its status. When there is an outage in power supply it will publish its status (running on backup) to the presence server. Presence server then notifies all watchers. Mind that not all the devices support the PUBLISH method. Simply for voice (VoLTE devices, SIP phones) you don’t need to know the presence or capabilities of your counter part in advance. 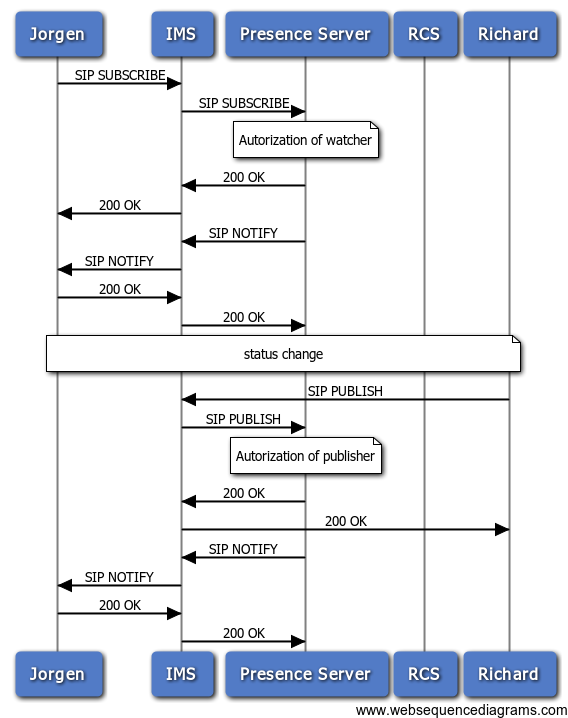 If necessary, clients may probe for the support of PUBLISH using the SIP OPTIONS request. The SIP OPTIONS can be also used as a light variant of a presence (200 OK will indicate user is active). This is used also in RCS 5.2. Generally we don’t want to deal with each of our contacts separately. Instead we want to work with lists. 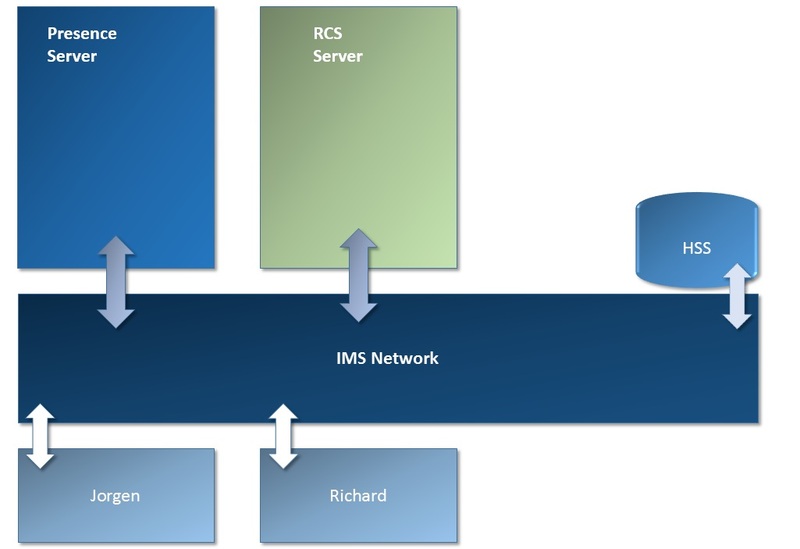 That’s why the IMS architecture is a bit more complex. There is a dedicated entity called Resource List Server (RLS) and XML Document Management Servers (XDMS). Resource List Server – accepts and manages subscriptions to presence lists, which enables a watcher application to subscribe to the presence information of multiple presentities using a single subscription transaction. See RFC 4662 and RFC 4826. Presence Server – manages presence information uploaded by presence sources and handles presence subscription requests. If a user wants to subscribe to list of contacts (e.g. start of an application), he/she will send just one SIP SUBSCRIBE to RLS. RLS will firstly respond with SIP NOTIFY which has an empty body. Then the RLS checks presence of all the members of the list one by one. Once the information is complete it is forwarded back to the originator as an XML content of SIP NOTIFY. Let’s have a break here. There are still too many things missing (Where is the multimedia? Where is the addressbook? Policies?) but we need to digest PUBLISH/SUBSCRIBE/NOTIFY first. More details in Presence – more then you wanted to know. 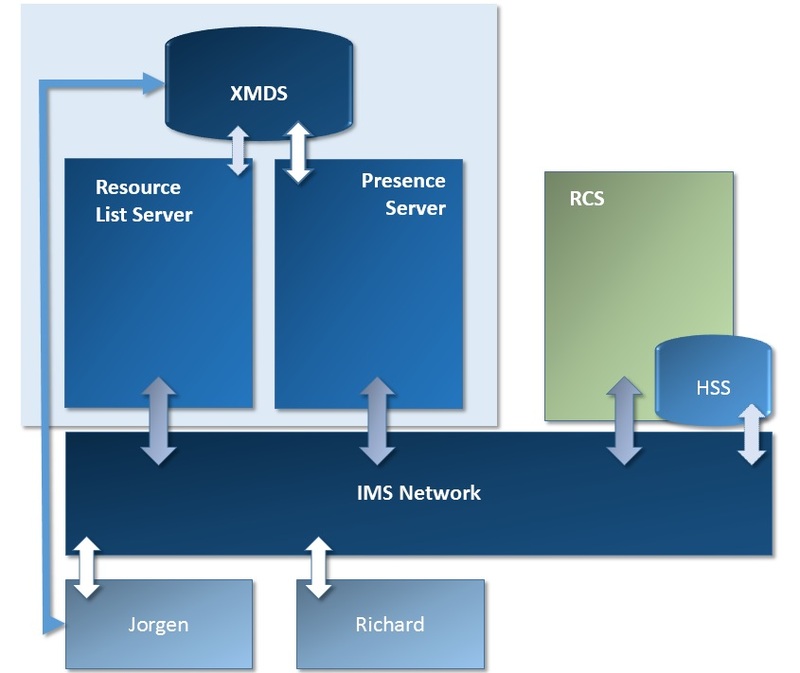 This entry was posted in IMS, RCS and tagged M2M, presence. Bookmark the permalink. ← Sh Interface – What Is It Good for?